Proudly do I present to you The 43rd Scientia Pro Publica, Science for the People, the Loves, Lives and Learning Edition. It’s brought to you by Technetium, the element with no stable isotopes! You may detect an antipodean flavour in this issue, with some excellent work included from Australia! My hope is that Scientia is a springboard for people to read about research and to read scientific writing by real scientists who (generally) are not paid by anyone to write what they write. Consider this as science “from the horse’s mouth”. As always, science bloggers are keen for commentary and review of their work, especially if they are writing about original research. This kind of peer-review gives science blogging its power and maintains its integrity. You really can get your fill of juicy science here. Scientia Pro Publica relies on YOU, so be sure to submit your blog posts, or the best of others’ here. Future editions need hosts, and we need them EVERY WEEK now. The schedule is here. Also, Scientia has a Twitter account, and there is even one for all science, environment and medical blog carnivals here! I want to begin by looking at a few blog posts that encapsulate what I love about science. One of the privileges of compiling Scientia Pro Publica is that I get, delivered to me, writing from scientists passionate about science. That passion, I feel, is born from a deep curiosity about the world, and the revelation that with careful science, more can be discovered about the world than we might imagine. 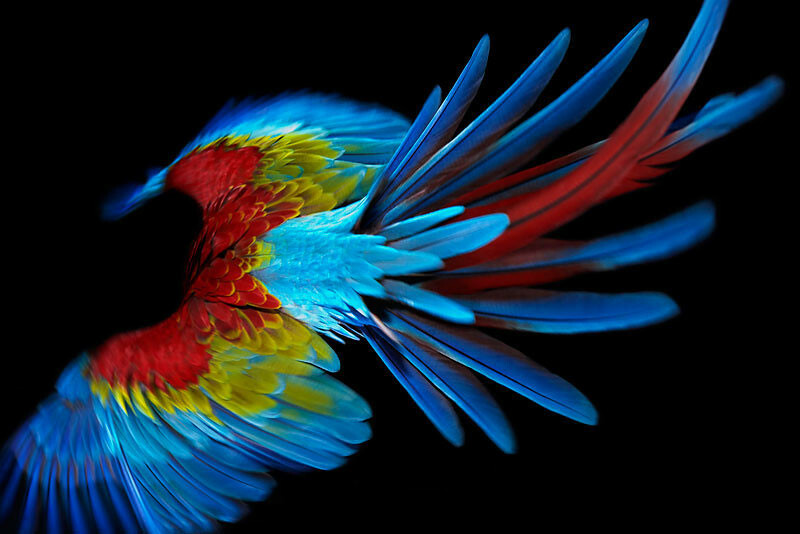 Perhaps that is why I get almost misty eyed when I read at Punctuated Equilibrium that we can add resistance to bacterial degradation to the list of evolutionary reasons for bright red feathers in parrots. My drying eyes then flash envy-green as I read Highly Allochthonous on the amazing natural laboratory that is the John Day Fossil Beds in Oregon. I’d never really considered the ecology of bacteria before, but this fascinating post from Lab Rat was a real eye-opener. Great blog! I can hear you asking at this point, can science help people by making them glow? 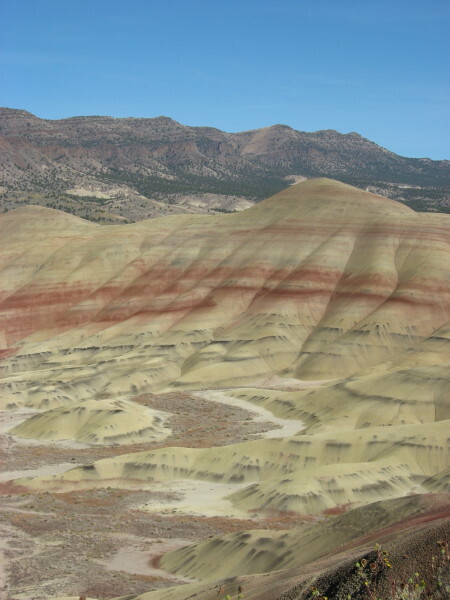 John Day Fossil Beds. Image: Highly Allochthonous. It’s not just things on land that fascinate, side-scan sonar is making it easier to hunt for wrecks! And, here in Australia, we have a look at the wonderful Platypus. You must read about platypuses here, in A Schooner of Science, otherwise you haven’t lived! On the subject of excitement in science (as if colourful parrots, amazing rock beds and monotremes weren’t enough) do not forget the power of good writing. If you’ve ever found science writing boring, a great piece over at 4.5 Billion Years of Wonder on the curse of passive voice might give you a clue why. It was read by the author of this blog and it was found to be excellent. Have you seen some bad science writing lately? It may qualify for a “Sloppy”, of which an edition may be found here. I post that one with some trepidation. Remember though, it actually matters whether you get the science right when you write. Distortion can cause problems, as Bob O’Hara argues in “Genes are Political Agnostics“. Sam Harris has published “The Moral Landscape”, and it has ignited debate amongst scientists and philosophers alike. It is an important debate, and it’s great to have scientists and philosophers debating, rather than scientists and theologians. 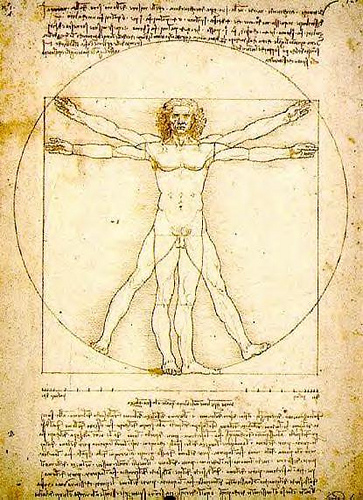 A post over at Ockham’s Beard asks the question, Can there be a science of morality?. I can’t wait to read the book, frankly, these reviews are making me keener and keener to hear from a Harris, who has, bravely I think, attempted to turn science towards the very questions that have vexed us for centuries. A fascination with science and the world around you begins at an early age, and needs encouragement and guidance, as Hannah at Culturing Science argues here. Plus she might draw pictures for you if you make a donation to the cause! On a topic related to love, PodBlack Cat reflects on the Science of Attraction exhibition at SciTech in Perth, Australia. Meanwhile, I can imagine you’ll be compelled to read Rethink, questioning whether out-of-control sexual behaviour is an addiction. Science gives us the power to test novel treatments for disease. However, you always have to keep one finger on your skeptical pulse. I received a couple of excellent submissions from Good, Bad and Bogus, including a good discussion of the recent reboxetin scandal, but I particularly liked the explanation of the small study effect. And further on matters medical, a mention for Disease of the Week!, who sent me excellent pieces from their excellent blog. I have exercised editorial freedom and selected a different one about smallpox. A timely reminder of the importance of vaccination. While you’re there, have a read of Exploding Head Syndrome: No pun required. Here in Australia, concern is increasing about some very nasty tropical bacteria. On the topic of science practice, we all know that animals are used frequently as laboratory test subjects. Humans; not so much. This is not, however, an open and shut debate. At Nerd Alert, we are questioned as to the ‘specialness’ of our species and how essential it may be for scientific progress. Animal rights legislation has a disturbingly recent history, and one of its earliest advocates was none other than Charles Darwin, as is explained here. To change gear, I now want to draw your attention to some important lives in the world of science, beginning with the recent sad news of the death of one of Australia’s most famous naturalists and conservationists, Malcolm Douglas. A lovely personal obituary was written at Philosophically Disturbed in “Goodbye Malcolm, We’ll Miss You“. Many here in Australia were touched by his too-soon passing. Myself, I wrote previously about him in this blog, which was also published as a letter in the West Australian newspaper. More recently, the Father of Fractals, Benoit B. Mandelbrot, passed away at the age of 85. A brilliant mind, he will be remembered. The Quantum Pontiff writes about him here. The Nobel Prizes have been announced, to much fanfare. Again, key researchers have been written into the hall of fame for developing the font of knowledge that is science. As is always the case with these types of awards, controversy abounds, but nonetheless, these awards are for those who have dedicated their lives to research with remarkable success. Here is a wrap up. Perth was fortunate enough to have a visit from David Suzuki last week. He wants people to consider what their legacy will be. How will you impact on the world around you and will your efforts carry on beyond your inevitable death? He is one of my scientific heroes. I didn’t make it to his talk, dammit, but at least one blogger did. Read about it here. Science is all about learning. Learning about the world around you. As a result, there is always talk of the importance of science education, the importance of getting straight facts out into the public and the importance of science in broader society. We know a lot about Autism, but not nearly enough. Real prejudice is countered through real research in Are Autistic People Natural Born Criminals? There is also, over at Addiction Inbox, some concern as to the place of codeine in pain management when other opiates can do the job better. And if the debate over genetically modified organisms confuses you, there are some handy definitions here. Now, the Mozart Effect may be dubious, but we can still ask the question, what music will make us happiest? And whilst you might think little of a sparrow in your garden, look again, it may be a local subspecies. The coal industry has come under fire in recent years for their contribution to environmental pollution, especially with regards to greenhouse gasses like carbon dioxide. A highly informative piece can be found here. Also, as individual chemical compounds become poster-boys for scientists and ‘deniers’ alike, we take a look at the nitrogen cycle and how it has evolved. As younger scientists develop their research, it is always helpful for them to share their work with others. A recent meeting in Perth has provided such an opportunity for discussion and collaboration, as Tom Webb writes in “Dispatches from the Frontiers of Science”. Of course, it can be difficult to get going in a research career, as is discussed here. In this, the International Year of Biodiversity, we have a neat collection of blogs and sites that are fighting for endangered species here. Science blogging has been an important science communication platform for a number of years now, and there are now ‘seasoned science bloggers’. DeLene at Wild Muse has compiled a number of interviews she’s done. Its a great insight into the mind of a science blogger. I encourage anyone who reads blogs but hasn’t put digit to keyboard yet to give it a go, it’s a fantastic way to communicate your thoughts and the work of others, and in my experience, a great way to hone your writing skills. Finally, I want to thank Near Cephei, for bringing me something from Symphony of Science. Science really is remarkable, and we should not forget that. View the videos at Near Cephei here. If you’ve made it this far, thanks for reading! I hope to do this again some time. Blogging Carnival Selection! « Disease of the Week! Arr, thank ye for including me post! A lot of great reading in this carnival. « Earthquakes and Volcanoes in Saudi Arabia!